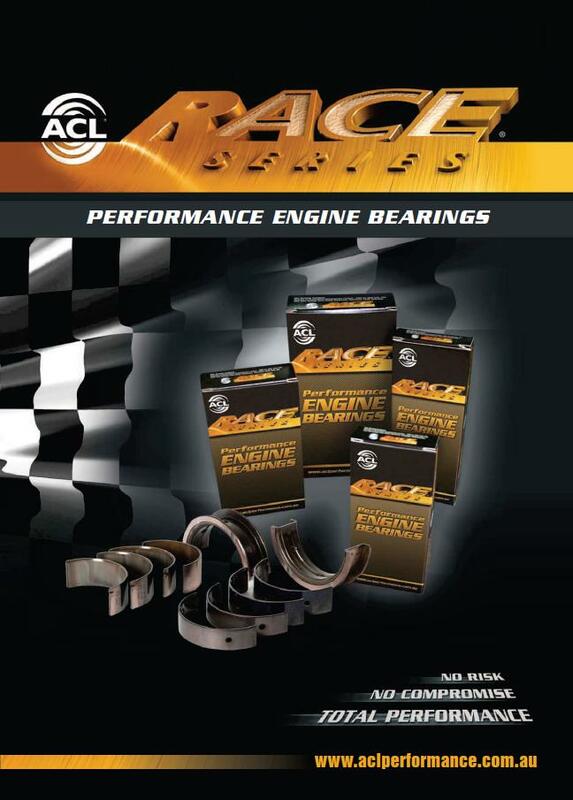 Rely on ACL’s Race Series performance engine bearings to perform to exacting race standards you expect. These bearings provide the dependability it takes to hold up under higher RPM conditions. The unique combination of design, metallurgy and engineering come together to deliver what drivers expect from high performance tri-metal bearings. ACL Race Series performance engine bearings are manufactured to exacting tolerances with particular attention paid to wall thickness accuracy. This ensures reliable fit and helps maintain consistent clearances. These Race Series performance engine bearings go the distance. Race Series performance engine bearings feature increased eccentricity to increase improve shape adaptation to compensate for bore distortion at high speed operation. Assists in the formation of hydrodynamic oil film. Main Bearings with Extended Grooves Full (180 degrees) grooved uppers with matching partial groove in lowers; – Reduces interruption to big end oil supply, – Tapered groove run-out, – Smoothes big end supply cut off avoiding pressure pulsing and cavitation. Enlarged ID Chamfers Accommodate larger fillet radii on performance crankshafts. Although the production at ACL ceased, PMi-Europe still has plenty of stock to assist you with your engine build, for the time being. Of course are we sourcing for a perfect alternative to replace the Race series bearings, when we happen to be out of stock. Click here to take a look at the ACL Bearings catalogue.